How can journalists possibly claim to be "objective" (in the Old Media, I-have-no-opinions sense of the term) when they get their news only from hyper-partisan sources on one side of the political spectrum? To do so should make any reporter blush. But David Shuster, apparently, has no issue with undertaking such objective journalistic endeavors as "fact checking and analyzing", while gathering information from the left's most prominent online talking-point repositories. Update - 1/28, 10:25 AM | Lachlan Markay: Law enforcement officials have clarified that O'Keefe is not being charged with an attempt to wiretap phones. Will Shuster issue a retraction? It's often said that bias shows through in what journalists decide to cover or not cover. So it was telling when Politico's Michael Calderone tweeted today, "@DavidShuster just said he's off to New Orleans to report on the O'Keefe arrest." 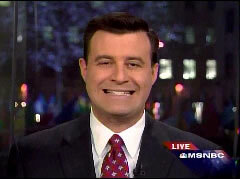 "He's giddy," added Mediaite's Steve Krakauer. Shuster's Twitter account, meanwhile, was lighting up with scorn for activist filmmaker James O'Keefe, who was arrested yesterday after an alleged attempt to tamper with phone lines in an office of Sen. Mary Landrieu (D-La.). After O'Keefe tweeted, "I am a journalist and the truth will set me free" yesterday, Shuster responded: "a) you are not a journalist b) the truth is you intended to tap her phones c) it's a felony d) you will go to prison." So Shuster is personally invested in O'Keefe's fate and convinced not only that he tried to tap Sen. Landrieau's phones--a contention that the affidavit does not support, not that that has stopped others in the mainstream media from reporting it as fact--but that he is, without a doubt, guilty. Given the well documented "revolving door" between the media and the Democratic Party (particularly the Obama administration), it's hardly surprising that MSNBC "The Ed Show" host Ed Schultz has been approached about a run for the Senate from North Dakota. But it's still hard to swallow the left's hypocrisy concerning who can make the jump from journalism to politics. On his Jan. 6 broadcast, he elaborated on the news that he had been approached to run for the North Dakota U.S. Senate seat, which will be vacated by Democratic Sen. Byron Dorgan at the end of his term. Schultz admitted he wasn't "considering it right now," choosing his words carefully. The scandal surrounding the Association of Community Organizations for Reform Now has provided a number of case studies in liberal media bias. The initial silence of the vast majority of media outlets on the story, the attempts by leftist commentators to excuse ACORN and discredit the group's critics, and Andrew Breitbart's strategy of rolling out video exposes periodically to counter those commentators, all speak to the liberal media paradigm, and activists' efforts to combat it. Breitbart and his filmmaking proteges James O'Keefe and Hannah Giles have released another video showing an ACORN employee volunteering her help in establishing an underage prostitution business. This employee, Lavelle Stewart, had been trumpeted by liberal pundits as a shining example of ACORN's refusal to aid in criminal deeds. Stewart, they claimed, had refused to help Giles and O'Keefe as many other employees had. But the new videos (Part 1 video embedded below the fold) tell a different story. "There are ways, people do it all the time," Stewart told O'Keefe when asked if he could launder prostitution money into his congressional campaign. "Yeah there are ways, especially out here in California," she added. Stewart, who works in an ACORN office in Los Angeles, was the latest staffer of the organization to volunteer her services in smuggling underage girls into the country, setting up a prostitution ring with those girls, and laundering the proceeds into a political campaign. Confirmed: Lou Dobbs announced his resignation from CNN on his Nov. 11 broadcast. Transcription at bottom. Has Lou Dobbs been forced out at CNN by the left-wing attack machine and other liberal forces? Quite possibly. According to New York Times reporters Brian Stelter and Bill Carter, CNN's Lou Dobbs will announce his resignation from CNN on his Nov. 11 show. "Lou Dobbs, the longtime CNN anchor whose anti-immigration views made him a TV lightning rod, plans to announce Wednesday that he is leaving the network, two network employees said," Stelter and Carter wrote. "A CNN executive confirmed that Mr. Dobbs will announce his resignation plans on his 7 p.m. program. His resignation is effective immediately; tonight's program will be his last on CNN. His contract was not set to expire until the end of 2011." Remember just a week ago when New York Times columnist David Brooks slammed the likes Rush Limbaugh and Glenn Beck? Naturally, that led to the left-wing noise machine, and the media which uses that message for show prep, to suggest there was a split in the conservative movement and therefore attempt to marginalize the conservative message. However, will they be so eager to echo the sentiment of David Brooks in the wake of President Barack Obama's Nobel Prize announcement? On PBS's Oct. 9 "NewsHour with Jim Lehrer," the Times columnist had some disparaging words for Obama's award - despite a sentiment from some liberals that those who question it were somehow un-American. "Well, my first reaction is he should have won all the prizes because he has given speeches about peace, but also he's give economic speeches. He wrote a book - that's literature. He has biological elements within his body. He could win that prize. He could have swept the whole prizes," Brooks said tongue-in-cheek before delivering the knock-out blow. "Now - it's sort of a joke." Recently, the McClatchy-owned The News Tribune of Tacoma, Wash. and the left-leaning Salon.com ran stories questioning whether or not Glenn Beck's mother, Mary Beck committed suicide. It was later propagated by the left-wing storefronts. And, on Fox News Channel's Oct. 5 "Glenn Beck" program, Beck addressed that and some of the gripes he had about the media for not doing their job. "I tell you all the time, I'm not a journalist," Beck said "I'm not. I joked that I'm a rodeo clown, but you know what - I take that back. I no longer am a rodeo clown. I am a dad, and quite frankly, I'm a little pissed off right now. You can call me names. You can make fun of me, whatever. I'm doing what I believe is right. I am doing a job as a private citizen right now." The New York Times announced today that it would appoint an editor to monitor 'opinion media'. In an attempt to respond to criticism that it has been too slow to pick up on stories first reported by conservative blogs and talk show hosts, the Times acknowledged poor coverage, but denied a political agenda. The self-proclaimed 'paper of record' was extremely slow in picking up on two recent stories. The first, the 'trutherism' of former White House Green Jobs Czar Van Jones, was initially reported by Pajamas Media, and later by Glenn Beck on his Fox News talk show. 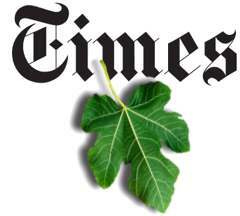 The Times did not cover the story until after Jones had resigned. Later, the Times neglected to report on the undercover sting operation that exposed ACORN for offering assistance in a bogus child prostitution ring. 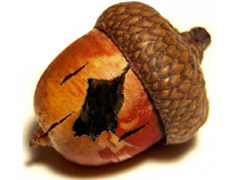 The Times reported on Congress's votes to de-fund ACORN, but neglected to mention the sting operation that inspired the votes. Over the last several weeks, no one has been the target of the left-wing media and blogosphere more than Fox News host Glenn Beck, even more so than his radio host counterpart Rush Limbaugh. Although conservatives have decried the daily ad hominem attacks, some voices on the left are starting to realize that's not an effective strategy for championing their cause, especially when it comes to the hot-button issue of the day, health care. And that is really starting to bother Air America host Lionel - that is the daily repetitive nature of attacking Glenn Beck and/or Rush Limbaugh by giving a litany of complaints about what they said, as he laid out in a nearly three-minute tirade on his September 14 Air America radio show. His show has usually been Fox News third-highest show, behind Bill O'Reilly and Sean Hannity. And since Fox News host Glenn Beck has come on the scene, he has been a thorn in the side of the left-wing machine. But his July 28 "Fox & Friends" criticism of President Barack Obama's comments on the racially-charged Cambridge, Mass. incident in which a local policeman arrested Harvard professor Henry Louis Gates Jr. has sent the liberal nutroots over the edge. After left-wing storefronts drew attention to Beck's analysis, groups want to viewers to boycott his sponsors. 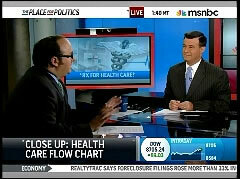 MSNBC host David Shuster on Thursday relied on the liberal group Media Matters to help him as he tried to "sift through the spin and get at the truth" of a Republican-created chart purporting to show government-run health care as a confusing maze of bureaucracy. Shuster began by complaining, "Is the conservative media deliberately trying to avoid any fact-checking when it comes to Republican talking points?" The cable anchor appeared incensed that the graph, released by congressional Republicans, has been featured on Fox News and the Drudge Report. Introducing Karl Frisch, Senior Media Fellow at Media Matters, Shuster attacked its reliability and fumed, "Is this another example of, at least with some of the conservative media, it’s to their strategic benefit not to bother checking things out?" You'd expect to see this in the liberal blogosphere or possibly some of the national mainstream media outlets with an obvious agenda. But now some of the preemptive strikes against Republican senators leading up to the Senate confirmation hearings and eventual vote to confirm President Barack Obama's Supreme Court nominee, Sonia Sotomayor, are finding their way into local newspapers.